Dr César Pérez Maldonado, who was behind the creation of the IPOPI National Member Organisation (NMO) Civil Association Inmunodeficiencias Primarias Venezuela, has sadly passed away on March 24, 2017. 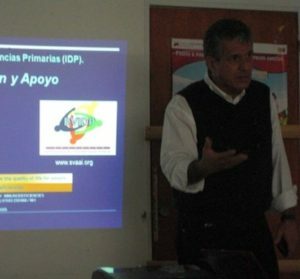 Dr César Pérez Maldonado was a leading figure in the PID Latin American community and in his country, Venezuela. He helped launch the Venezuelan PID patient group in 2010 by working together with a group of doctors, laboratory technicians, lawyers and entrepreneurs who dedicated themselves to inform, help, diagnose and treat people living with a primary immunodeficiency in Venezuela. Dr Maldonado participated with enthusiasm and dedication in all the activities developed by the patient group, including courses, workshops and recreational activities for patients and health professionals, with interest in the topic of primary immunodeficiencies. Our thoughts are with his family and the PID patients of Venezuela.